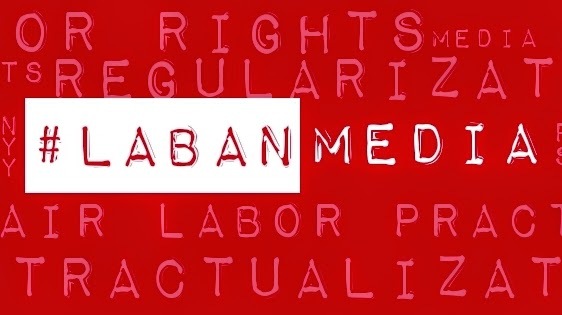 The Talents Association of GMA (TAG) maintains its position that the Network’s contractual scheme that it has been practicing for decades is a violation of the Labor Code. GMA Network’s main defense, as manifested in the documents it submitted to the National Labor Rights Commission (NLRC), is the alleged absence of an employer-employee relationship between the Network and its Talents. What GMA Network fails to note is that despite the existence of this Agreement signed by the talents, there is a provision on the Labor Code that negates the Talent Agreement contract. It means that if the criteria provided for in the Labor Code are met, whatever is written in any document between parties – the Talent Agreement in this case — has no more hold. TAG has already submitted supporting documents and evidence to the NLRC to prove that all four criteria apply to the conditions that have surrounded the Talents’ employment in the Network through the years. Moreover, GMA is offering a one-year contract to some TAG members whose contracts were not renewed last December 31. This only proves that Talents are necessary and desirable to the operations; “necessity and desirability” are two of the most important qualification to become a Regular Employee. GMA Network said it is willing to participate in a House Inquiry should it push through. “GMA will consider it an opportunity to clarify its position and to present proper context to such practice for the better understanding of our legislators,” the statement said. TAG appeals that the House Committee on Labor approve the request for an inquiry, in order to set forth the truth about a decades-long industry problem and to bring justice to workers who have long been suffering from unfair labor treatment.